This volume eschews the negative, penitential focus of Lent, recognizing the needs of women who already struggle with issues of worth and self-esteem. Instead, it uses the words of women from various backgrounds to explore their uniqueness and the gifts of their feminine spiritual nature. Through this approach, Lent becomes a time of inspiration. 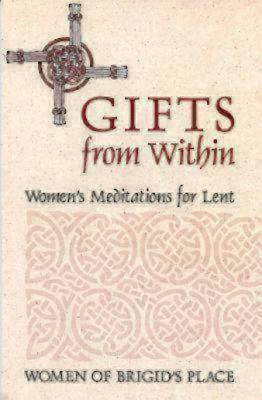 Gifts from Within was published by Continuum in December 2002 and is our 40153rd best seller. The ISBN for Gifts from Within is 9780819218957. Be the first to review Gifts from Within! Got a question? No problem! Just click here to ask us about Gifts from Within.